Data warehouse software acts as the central storage hub for a company’s integrated data that is used for analysis and future business decisions. The integrated information within data warehouses comes from all branches of a company, including sales, finance, and marketing, among others. Each of these departments may have its own repository for singular, specific, and relevant information, which are known as data marts. Data warehouses can be built in two ways. The first is a top-down design, which collects all data from the company at a granular level and then allocates the data to specific data marts. The other is a bottom-up approach, where the data marts are created first and then later combined to form a complete data warehouse. Data warehouses can combine data from sales force automation tools, marketing automation platforms, ERP and supply chain management suites, etc., to enable the most precise analytical reporting and intelligent decision-making. Businesses may also use predictive analytics and artificial intelligence tools to pull trends and patterns found in the data. Data Warehouse reviews by real, verified users. Find unbiased ratings on user satisfaction, features, and price based on the most reviews available anywhere. Integrates database, server, storage and analytics into a single system with petabyte scalability. Fast analytics Provides a high-performance, massively parallel system that enables you to gain insight from your data and perform analytics on very large data volumes. Smart, efficient queries Simplifies analytics by consolidating all activity in one place, where the data resides. Simplified infrastructure Easy to deploy and manage; simplifies your data warehouse and analytic infrastructure. Does not require tuning, indexing or aggregated tables and needs minimal administration. Advanced security Enhanced data security is provided through self-encrypting drives as well as support for the Kerberos authentication protocol. Integrated platform Supports thousands of users, unifying data warehouse, Hadoop and business intelligence with advanced analytics. The Vertica Analytics Platform is purpose built from the very first line of code for Big Data use cases and is trusted by thousands of leading data-driven enterprises around the world, including AT&T, Etsy, Twitter, Intuit, Uber and more. Vertica delivers speed, scale and reliability on mission-critical analytics at a lower total cost of ownership than legacy systems. All based on the same powerful, unified architecture, the Vertica Analytics Platform provides you with the broadest range of deployment models, so that you have complete choice as your analytical needs evolve. 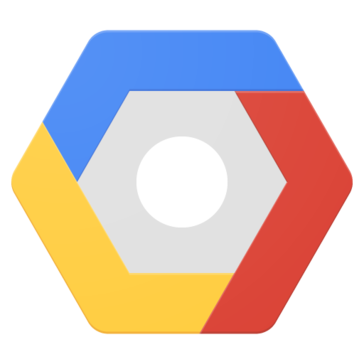 Deploy Vertica on-premise, in the clouds (AWS, Azure and GCP), on Apache Hadoop, or as a hybrid model. Vertica features include: •	Column-oriented storage organization, which increases performance of queries. •	Standard SQL interface with advanced analytics capabilities built-in, such as time series, pattern matching, event series joins, machine learning and geospatial. •	Compression, which reduces storage costs and I/O bandwidth. High compression is possible because columns of homogeneous datatype are stored together and because updates to the main store are batched. •	Shared nothing architecture, which reduces system contention for shared resources and allows gradual degradation of performance in the face of hardware failure. •	Easy to use and maintain through automated data replication, server recovery, query optimization, and storage optimization. •	Support for standard programming interfaces ODBC, JDBC, ADO.NET, and OLEDB. •	Integration to Hadoop with the capability to perform analytics on ORC and Parquet files directly. Parallel Data Warehouse offers scalability to hundreds of terabytes and high performance through a massively parallel processing architecture. Game-changing insight that impacts business performance only happens when you analyze data by business process or team objective, as opposed to by file type or IT system. This is what ZAP enables. Our flagship product, ZAP Data Hub connects, collects and unifies business data, integrating it into a secure, governed hub and preparing it for expert analysis with BI tools such as Microsoft Power BI, Tableau and Qlik. ZAP Data Hub tackles critical data challenges, delivers value to all business functions and works with an array of apps and data sources, replacing inefficient and inaccurate manual data processing and time-consuming and expensive data warehouse projects. Apache Flume is a service designed to efficiently collect, aggregate, and move large amounts of log data. Advanced analytics meets traditional business intelligence with Pivotal Greenplum, the world’s first fully-featured, multi-cloud, massively parallel processing (MPP) data platform based on the open source Greenplum Database. Pivotal Greenplum provides comprehensive and integrated analytics on multi-structured data. Powered by one of the world’s most advanced cost-based query optimizers, Pivotal Greenplum delivers unmatched analytical query performance on massive volumes of data. SAP BW/4HANA is a next-generation data warehouse solution. It is specifically designed to use the advanced in-memory capabilities of the SAP HANA platform. For example, SAP BW/HANA can integrate many different data sources to provide a single, logical view of all the data. This could include data contained in SAP and non-SAP applications running on-premise or in the cloud, and data lakes, such as those contained in the Apache Hadoop open-source software framework. With SAP BW/4HANA, IT organizations can become the hero, providing business users with real-time analytics, tailored analytical applications, and intelligent automated support for business processes based on data from SAP and non-SAP line-of-business applications. Teradata provides a complete family of purpose-built data warehouse platforms that address a full spectrum of needs ,from entry to enterprise level ,all designed to work with the proven power of the Teradata high-performance Database engine. Apache Tajo is a robust big data relational and distributed data warehouse system for Apache Hadoop. DataWarehousing Engineer-to-Order product is the industry’s most comprehensive ERP and MES solution designed and developed to address industry and functional-specific applications of enterprise companies worldwide. Analyze the performance of your marketing. Improve your team’s responsiveness by identifying issues and capitalizing on opportunities for optimization. BI360 Data Warehouse is a data warehouse app built on the Microsoft SQL Server system that lets businesses combine and manage various types of data. Relational or NoSQL, structured or unstructured, Operational DB delivers insights at the speed of business. TX2014, TimeXtenders Data Warehouse Automation Platform, enables you to get results from business intelligence in a very short amount of time. TX2014 turns a business intelligence project into a business intelligence process with a flexible solution that can grow with the needs of your business. A next generation hybrid database family with configurations that are optimized for either transactional or data warehouse workloads. Management choice Choose fully managed solutions in the cloud or a client-managed local deployment. Common technology A common SQL engine leverages existing skills while improving efficiency across transaction and analytic workloads. Transactional or data warehouse dashDB configurations can deliver an optimized stack for either data warehousing or transactional needs. What Is Oracle Autonomous Data Warehouse? Autonomous Data Warehouse is a fully managed database that’s tuned and optimized for data warehouse workloads. It combines the market-leading performance of Oracle Database with the ease of Autonomous Database, and is self-driving, self-securing, and self-repairing. Get faster access to analytics, instant elasticity, and smarter data from your data warehouse in the cloud. Autonomous Data Warehouse eliminates error-prone data management processes with powerful self-driving, self-securing, and self-repairing capabilities. Stop worrying about your data management and focus on growing your business with fast, easy, and secure access to your data. Easy -	Fully autonomous database -	Automated provisioning, patching, and upgrades -	Automated backups -	Automated performance tuning Fast -	Built on Exadata, so you can expect high performance, scalability, and reliability. -	It’s also built on key Oracle Database capabilities: parallelism, columnar processing, and compression Elastic -	Elastic scaling of compute and storage, without downtime. You only pay for resources consumed. Whether you’re a data warehouse developer, business user, or data scientist, with Autonomous Data Warehouse you gain a comprehensive cloud experience for data warehousing—one that’s fully self-driving, with all of the complicated parts taken care of for you. But not only that, because Autonomous Data Warehouse uses the same Oracle Database software and technology that runs on Oracle on-premises marts, data warehouses, and applications, it’s compatible with your existing data warehouse, data integration, and BI tools. See how this frees you up for data exploration with a free cloud trial of Autonomous Data Warehouse. With focus on mid-level MES solutions (Level 3 and 4, between ERP and PLCs) for the manufacturing sector, Sandwiched between two seemingly incompatible worlds of machine language and business language, between operations and business leadership, Autosys bridge this chasm with ease. By fetching and integrate data from anywhere : From proprietary hardware controlled imported machines, to industry standard PLCs and DCS systems, from M2M communication protocols to nation-wide networking of multiple plants, from stand-alone MES software to Enterprise wide MES with ERP integration – we can understand and execute software solutions for any system and level. Teradata Unity is a powerful product that helps you create a synchronized and unified data warehouse environment. It routes users and queries, synchronizes databases, provides end-to-end monitoring of processes and data flows, and intelligently moves data between systems. The unique cloud-native architecture maximizes cloud resource utilization and delivers more value for less. Actian Vector is a relational database engine designed for high performance analytics. Amplidata is a cloud-based solutions provider offering scale-out technology for storage providers. Anvizent is a purpose-built solution for Manufacturing Analytics and Business Performance Management. Anvizent helps manufacturing organizations gain better visibility and control over their operations by providing a timely, unified and actionable view of data residing in disparate systems. biGENiUS is a Big Data and Data Warehouse automation solution. ENDO is an open-source Blockchain protocol for safe verified data storage and transfer. Contour CPM-platform consists of financial data warehouse and applications designed for building corporate performance management solutions to make better decisions, be proactive, and ultimately boost the bottom-line. DataArchiva whitepaper features a comprehensive list of technical resources covering topics such as Salesforce data archival, data storage, data security etc. Datagres PerfAccel is a data management platform that delivers real time optimized server and storage performance for applications. Springbord is a leading global information service provider that develops custom data acquisition & processing solutions for a broad spectrum of industries. Why Use Data Warehouse Software? Data warehouse technology is used as a storage mechanism, different than traditional database technology. These tools are a key component of modern business intelligence operations, used as centralized repositories for data coming from multiple sources within a company. They can then be used in partnership with ETL tools to normalize and deliver information and data sets. Most data warehouse technology comes with features for data cleansing and normalization, so data can be stored in a variety of forms. This allows data from sales, marketing, research, and other departments to be stored in their natural forms but cleansed for comparative analysis. Data warehouses are a good option for companies with existing, cross-departmental data. These tools are better designed to handle analytics, significantly more than they are for data entry. They can help management and other employees who rely on large amounts of data and in-depth analysis during the decision-making process. By making information available to users in any role, a data warehouse connected across departments can reduce siloing and poor communication frequently found in growing companies. It can also make it easier for users without technical backgrounds to perform self-service data requests. Data warehouses can help users of all kinds improve the performance of data storage and usage through a simplified operational process. The tools will also help users create customized workflows that pull in data from multiple sources and present them to users in a digestible way. Overall, they can simplify processes for storage, retrieval, analysis, and visualization. Data warehousing technology has a number of key components that create its overall architecture. A few of those are the database, data sources, data staging areas, presentation tools, and integration tools. Database — The database storage warehouse itself consists of multiple operational data stores and data marts, where information is stored within the warehouse. Here, the data is somewhat organized; unstructured data remains behind and has not been normalized or cleaned. Data Sources — The data sources provide the database with its information. These sources can be virtually anything containing information, from spreadsheets to other SaaS tools used in the various departments of a company. Data Staging — Data staging areas are used to normalize and structure information. These transitional storage areas are often used during ETL processes where information is transformed, consolidated, aligned, and eventually exported. Presentation Tools — Once data has been cleansed and normalized within the staging area, data will be transferred to data marts for access from users. They may be exported at that point or paired with business intelligence tools for further visualization and analysis. Integration Tools — Integration tools are used both in the collection of information from its various data sources, as well as dispensing information after it has been normalized or modeled. These tools help facilitate the input of information and utilize the data being stored within a data warehouse. Data Sources — Data warehouses typically rely on a range of data sources. The data can come from multiple sources, such as spreadsheets, banking systems, and software that ranges from SQL server and relational databases to legacy systems. These features help users consolidate data that they hope to use during the decision-making process. Data Marts — Data warehouses are organized into individual subsections. These segmented storage locations within the data warehouse are typically relevant to an individual team or department. Scaling — Scaling allows the data warehouse to expand storage capacity and functionality while maintaining balanced workloads. This helps facilitate a growing demand of requests and expanding sets of information. Autoscaling — While many tools allow administrators control over scaling storage, autoscaling features help to reduce the manual aspects. This is done with automation tools or bots that scale services and data automatically or on demand. Data Sharing — Data sharing features offer collaborative functionality for sharing queries and data sets. These can be edited or maintained between users and potentially sent to customers or business partners. Data Discovery — Search tools provide the ability to search vast, global data sets to find relevant information. This allows users self-service access and navigation to multiple datasets. Data Modeling — Data modeling tools help users structure and edit data in a manner that enables quick and accurate insight extraction. They also help translate raw data into a more digestible format. Compliance — Compliance features monitor assets and enforce security policies. Many can also audit assets to support compliance with PII, GDPR, HIPAA, PCI, and other regulatory standards. Data Lakes — A data lake is very similar to a data warehouse, but it typically stores a larger variety of data such as server logs, network activity, or any other non-traditional dataset or historical data that may not be imported into a data warehouse. Real-Time Analytics — Real-time analytics features provide information in its most recent state and update users as soon as it changes. This will prevent the need to continually update data sets and simplifies the use of streaming data. Database Tools — Databases consist of a large family of tools used to store information digitally. There are a wide variety of databases from relational (SQL) databases to object-oriented and graph databases. They can be used to store virtually any kind of data set, depending on their nature, but vary greatly between one another. For a more in-depth look, view our Data Warehouses vs. Databases blog. ETL Tools — ETL tools, short for "extract, transform, load," are the most common way data is extracted from a data warehouse. These tools have long been used to facilitate the use of heterogeneous information sources and transform them into presentation-ready data formats. Big Data Tools — Big data processing and distribution tools often work in tandem with data warehouses to process and distribute vast sums of information prior to storage. These tools will help improve the warehouse’s scalability and processing power, which improves exploration compared to ETL tools. Hi there! Can I help you find the best Data Warehouse solutions?